Arkhangelsk, an administrative centre of the Arkhangelsk Region, was founded in 1584 by the order of the Tsar Ivan the Terrible. It is situated mostly on the right bank of the Northern Dvina River and on the numerous islands in its mouth; the city stretches for about 40 km along the river. Arkhangelsk is a large research and industrial centre in the north-west of Russia. Timber, timber-chemical, pulp-and-paper, fish-processing, machinebuilding, microbiology industrial enterprises are concentrated here. Arkhangelsk – the first sea trading port, the sea gate of Russia, opened the way to the West. Arkhangelsk of our days is not only the largest sea port in the North, but a complex transportation junction connected to other regions of Russia by air, railway and automobile. Arkhangelsk is called the Gate to the Arctic. 200 educational institutions work in Arkhangelsk today, as well as 18 municipal public health institutions. Arkhangelsk is considered the largest research center in the Russian North. Cultural life is very rich and diverse in contemporary Arkhangelsk. 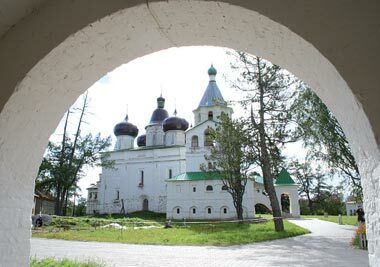 The tourist and recreation potential of the Arkhangelsk Region is unique, it holds a leading position in Russia in the number of monuments of cultural and historical heritage. Arkhangelsk is a firework of colours and festivals! It is also the popular center of voyages! 1. “Arkhangelsk is the cit y of four centuries”. Arkhangelsk takes a worthy place in the family of the Russian cities. The city was born by the sea, and its life is connected with the sea throughout the centuries. This is the first sea trading port. This is the first sea gate to the countries of Western Europe. This is the native land of Russian shipbuilding. The excursion acquaints you with the history of the city, the diverse life of modern Arkhangelsk and its sights. 2. “Arkhangelsk is the gate to the Arctic”. By right Arkhangelsk is called the Gate to the Arctic. The expeditions of V.Y. Chichagov and V.A. Rusanov, A.M. Sibiryakov, G.Y. Sedov, P.K. Pakhtusov, F.P. Litke, I.D. Papanin, O.U. Schmidt were equipped and seen off from here. The excursion acquaints you with the history of the Arctic expeditions and courageous trailblazers. 3. “Heritage street of Arkhangelsk”. The pedestrian excursion acquaints you with the heritage street, where you can see wooden architecture typical for Arkhangelsk in the 19-20th century. Also you can acquaint with the life of some outstanding people. 4. “The wooden architecture of the North”. Wooden architecture has always been the pearl of the Russian North. During the excursion you will visit an open-air museum . You will admire by the log churches, belfries, mills, izbas (peasant's log huts), granaries. You will be offered traditional hot herbal tea in the Tea Izba. 5. “Treasures of the Antoniyev-Siysky Monastery”. 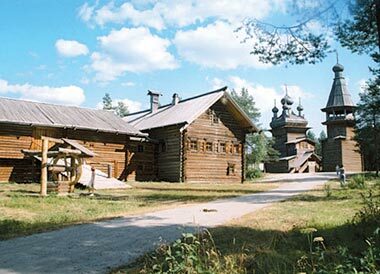 During the excursion you will visit Antoniev-Siysky Saint-Trinity Monastery. The monastery is a unique Russian architectural monument of the 16th century, situated on the bank of the marvelous Mikhailovskoyo Lake. Today it is a functioning monastery which revives its traditions. 6. “To the motherland of a great Pomor”. 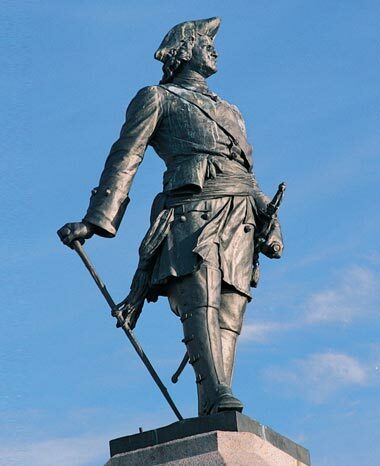 This excursion acquaints you with the motherland of a great Russian scientist Mikhail Lomonosov. You will visit a stone five-domed ensemble of the 17th century, Spaso-Preobrazhensky cathedral and the Historical museum. Expositions: The Arkhangelsk region culture, Lomonosov's biography and scientific discoveries, bone-carvers' craftsmanship, old-printed books of the 18th century. This excursion acquaints you with the way of life in the Russian North. You can see architectural complex of the 17-19th century and walk around the village, talk with local people.